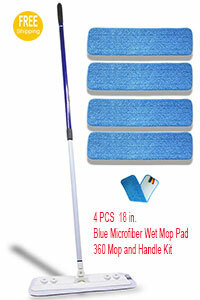 This Microfiber cleaning wand is a tremendous impovement over a traditional dust mop, sweeper, and wet mop. The wand does all of these tasks and so much more. The microfiber cleaning pad makes chemical-free care possible. It’s the perfect solution for cleaning " No Wax " vinyl, tile, marble, and laminated wood flooring. The special yarn used for wiping cloth is 0.1 denier, an ultra fine micro fiber. This filament is very fine, strong and generates no particles. Additionally, the wedge-shaped polyester at the cross section and core nylon fit the surface of any objects and gather dust efficiently. Cross section of ultra-fine micro fiber . Being made of micro fibers with wedge-shaped cross sections, this wiping cloth traps and removes all kinds of dust particles on the lens surface.